Now that we're in the second half of the year, it's time to evaluate. One thing to determine is how well your planner setup is working for you. If you are having Planner Fail, now is a good time to get a new planner. 18 month planners have already started, and academic-year planners will start next month so you don't have to be stuck with a planner that's not working for you. It's also time to evaluate your annual goals and see what progress you've made and what still needs to be done. Are you where you expected you'd be by this time of the year? If not, what has been hampering your progress so far? Think of ways to get around roadblocks, and adjust your goals to get as much done by the end of the year (or your designated deadlines) as possible. I'm happy to report that my mid-year planner evaluation is all good! My self-drawn planner is still working spectacularly well for me, even through the busy end of the school year and the upheaval of my move. The vertical weekly format with space for notes keeps my schedule and tasks organized, the monthly calendars with monthly notes pages help me plan ahead, and the goals pages have kept me on track all year. I'll have images ready for you to see soon! How are you doing so far? Do you need some tweaks, a total overhaul, or are you rolling along well? My mid year eval says--not surprisingly--that I need a new planner! Here's the plan so far--I'm going to buy a Lilly Pulitzer because they're just SO pretty and girly :D I need fun and colorful right now--and I MIGHT get the WSP binder and inserts also--for major planning. Mind you, this will probably change by tonight ;o) (Except for the LP, I'm def getting that) Cheers! Googled LP and wow! Gorgeous! What size and format are you getting? Hi! My first comment here! I'm a 21 years old girl from Brazil and I really love your blog! Most of the time, I just read the posts, but now I find I could contribute with something! I've always been someone very organized, mainly for studies! I am in fourth grade at a Medical University and I really love to be organized and get things done as soon as possible! 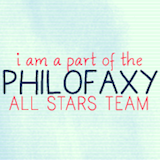 One day, I found this blog and Philofaxy and just became a fan! I love the way you discuss all aspects of planners organization because I never found anyone who would like to take so deeper discussions about this theme! I've always been someone looking for the perfect planner! I'm soooo jealous (in a good way) of you because you can find different types of planners, filofaxes!!! I wish I could have someplace to buy one Filofax! Here in Brazil, we don't have this brand, so we need to work something out! I was thrilled to have a nice organizer/planner, especially after I saw OrganizedbyJen (at Youtube) set up on her filofax! Then I bought a A5 binder, a lot of dividers and pages (normal notebook pages as we don't have special pages like you do). My binder has a lot of tabs: routines (based on FlyLady), to do list, timetable, annual goals, month goals (with month per page templates found on philofaxy), medicine (university things), medicine (different subjects), projects (university), finances, organization, lists, night time (reading and english learning), day care (hair, nail cares) and draft/sketch. This binder is just for planning things and usually stays home. Furthermore, I have a Moleskine Weekly Notebook 18 months that I've just bought! This one I carry with me all the time! I put post-it flags on it, so I can easily find the date I am looking for. I use the lined pages to take notes of things I will want to plan later at my binder! :) Sorry about the long comment and about my poor english! I love the way I'm dealing with my set up! :) Have a nice day! Thank you for your inspiration posts! Thanks so much for your comment, I'm glad you like my blog! Thanks for telling us about your Filofax setup, sounds like it works really well for you! And, I also love the Moleskine 18 month weekly notebook, it's so portable and can be used in any way you want. Best of luck to you in Medical school! I knew a few months back the Day Timer planner that was free was a fail. The weekly, too small, too structured days were hard to manage and navigate, and I ended up using more note pages to spread out my ideas than I liked. I prefer to have my daily thoughts and notes right on the day itself, so I double up, using it as a diary almost, and remember what kind of day it was. I recently bought a Moleskine pocket one page per day planner. It's been a major adjustment from my ring-bound Franklin Covey I've used for years, but I'm loving it so far! Hi Hannah! You are busy! For you, I recommend a Quo Vadis Septanote (academic year planner). The Septanote has a large page size in a very slim book so you can carry it everywhere easily. The days are timed vertical columns so you can block out your class time, study time, work time etc and get a visual of your day and how your time is spent. There are Notes spaces at the bottom of each day's column to write reminders, child notes, etc. And, there are list boxes each week for calls, emails, payments or you can easily customize to have boxes for assignments, etc. This very organized layout lets you see what you need to do and when you have time to do it each week. And, the paper is spectacular! Inside the back cover you can use the tabbed address book for categorized info, or you can buy Quo Vadis notes booklets that fit in the back. Alternatively, you can use Moleskine Cahier or Volant notebooks, which are thin, and can slip in the back pocket in the Septanote to keep notes and info with you. The page size is larger than your FC, but the book is so much slimmer it's very portable. And the organized weekly layout will keep you in control of your busy schedule! I think mine is a quarterly rather than mid-year eval, because I changed planners at the beginning of April. And the Personal Planner is working really, really well for me except for the issue with the back cover, so I think I will stick with that. . .although a compact Filofax tempts me. Pretty Chaotic Printable Planner now only $2.50! New Poll: Do You Carry Your Planner With You?